You know that old adage, “It’s a woman’s prerogative to change her mind?” Well, the same thing holds true for knitters (and crocheters!) We can find a project pattern we like, but then decide to adjust the finished size, the yarn type, or as in the case with today’s Sea Breeze Bag hack, completely change the gauge. 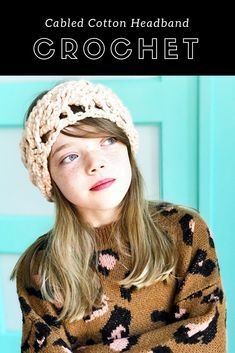 With the help of a little math, the will to swatch, and by swapping out embellishments you’ll find that accessory patterns (which translate easier than garments, because fit isn’t as important) can often be used as a basic outline for your own interpretation of a project. This makes a few, core patterns and yarns in your personal library interchangeable resulting in a plethora of finished product possibilities! Let me explain. PRO TIP #1: Takumi Bamboo Interchangeable Circular Needles & Case make experimenting with different weights of yarn, quick and easy! From there all of my adjustments were purely aesthetic. I wanted the color of the lining to be visible from both the inside and outside of the bag, so I doubled it (see below.) I also love metallics, so opted for silver vinyl straps instead of twisted yarn. That’s really it. Just have fun, and know that just because instructions are written, that doesn’t mean they are done so in stone. Play a little. You may make some mistakes along the way, but you’ll probably learn something and might even discover a design feature that’s truly and uniquely YOU. Now, let’s get knitting! With MC, cast on 45 sts . 7th row: *K1, wrapping yarn around needle 3 times. Rep from * to end of row. 8th row: *Knit, dropping extra loops. Rep from * to end of row. These 8 rows form Drop St Pat. Cont in pat until work from beg measures approx 19” [48 cm], ending on a 7th row. Next row: (Dec row). *[K5tog, dropping extra loops of each st], 6 times. –15 sts rem. *NOTE: I found it was easier to sl the k sts to the RH needle, drop any wrapped sts off the LH needle, then k5tog (through the back loop) on the RH needle. Whatever gets the job done for you, though is great! PRO TIP #2: Wonder Clips work great for holding knit pieces together while you do seam work! Using a tapestry needle and yarn, sew sides and bottom of Front and Back together. Trace around bag onto craft paper, adding about a 1/2″/1 cm allowance; cut out. Cut 4, bag shapes out of fabric. With RS facing, and using approx 1/2″/1 cm seam allowance, seam together sides and bottom. Repeat for remaining two pieces. With RS facing, pin together and sew tops of both lining pieces together, leaving an opening for turning. Clip curved edges with scissors; press seams. Turn linings RS out, so one is inside the other; top seam around perimeter of lining, closing turning gap. Hand sew lining to bag. Machine sew handle ends to top knit rows of Front bag, 5 1/2″/14 cm in from side seams. Repeat for Back piece. You’re done! Now you have a bulky, go-to bag for all of your summer needs! Can’t get enough of bag knitting? Join me in June for THREE, Yarnspirations‘ beach bag knit-alongs. Keep your eyes peeled on Facebook for details to come! filed under Bernat, Clover, Free Projects, Knitting/Crochet. You’re awesome, Vicki!!!! Loved the bag, but also wanted it larger. Thank you for your bag hack!!!! Woohoo, Leslie! I love when knitting kismet happens. 🙂 Be sure to post finished pics (and tag @vickiehowell), when you’re done! Hi! Love the bag! Could you explain the decrease row? Just not getting it! Had to start over once already! Thank you! Hi! Just got back from vacay, so late to respond. So, you’ll notice that you have loops on your needle that are a combination of knit stitches and yarn-overs. 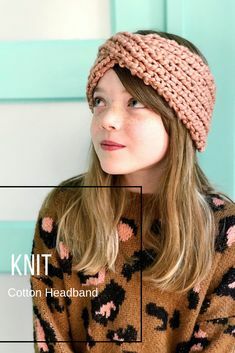 The key is that you want to ONLY knit together the knit stitches, but to be able to k5tog you’ll have to first have 5 knit stitches in a row together. 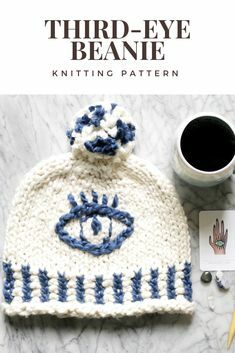 To do this, you slip a knit stitch at a time onto the RH needle, then let the YOs fall off the LH needle. Repeat this process until you have 5 knit sts on the RH needle. From here you have a choice: either knit 5 sts together through the back loop (k2togtbl), OR slip all of the knit sts back onto the LH needle and knit 5 together (k5tog) normally. Does that help? Am I decreasing across the entire row? If I do that I end with 9 Stitches active on needle prior to casting off. Or am I to have 6 decreases in a row and 15 stitches active stiches along with 6? I would think the decreases go across entire row from the look of the picture.